Can you name a film that used Birmingham as its filming location? I'll be honest, I'm only aware of a handful. Of course, the city featured in about 20 seconds of Kingsman: The Golden Circle in 2017, but it was a whole new level of excitement in Brum when Steven Spielberg himself chose the city for his latest, what is set to be, blockbuster hit Ready Player One. I was fortunate enough to be invited along to an exclusive screening of the film this week at Cineworld on Broad Street. Ready Player One is set in 2045 in Columbus, Ohio. The future isn't exactly how we all imagine it to be, and the world is obsessed with the OASIS. Created by tech legend James Created by James Halliday, the OASIS is a virtual reality game. The game allows people to escape real life and become an avatar where they can live their dream. After Halliday passes away, he leaves players of the game a challenge. Players must complete three challenges to gain keys which unlock a clue to the next task, but no one is yet to complete it - until now. 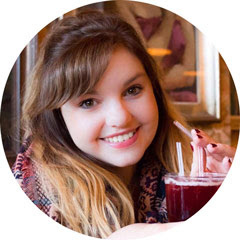 The film is completely captivating, and from the moment it began I couldn't take my eyes off the screen! Not only is the film concept itself simply brilliant, and really makes you think of what the world could be like in 30 years time, it is also packed full of incredibly talented actors that will definitely go on to become huge stars in their own right. 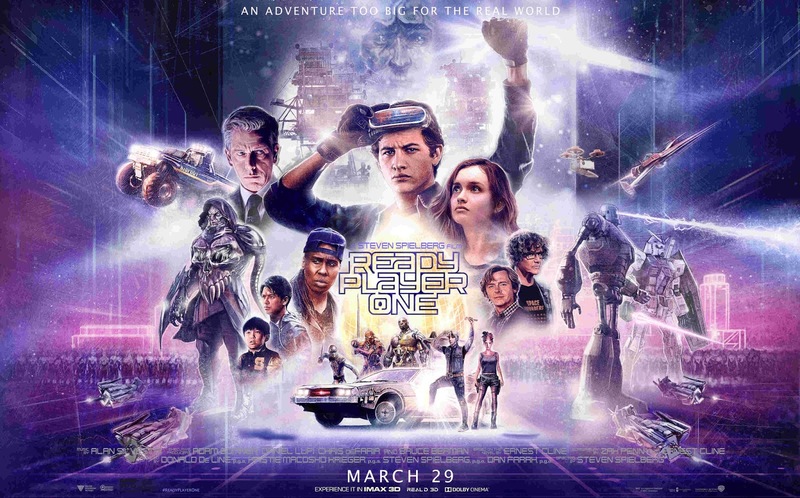 Ready Player One also has a fantastic soundtrack, with everything from Tears for Fears to Hall & Oates that help make the film as fun as it is, with a vintage touch, helping to appeal to both young and older audiences. However, by far the most exciting aspect of the film is that huge amounts of the movie was filmed right here in Birmingham! From the Jewellery Quarter to Digbeth, you can spot the streets of the city on the big screen in this movie. It is also not just like a snippet here and there, there are lengthy sections where you can really see parts of the city, which makes it really exciting to notice the streets we all walk down in a massive movie. So, what areas can you expect to see in the film? Here are the areas of Birmingham you can find in the movie, where they are close to and how you can see them for yourself! You will find Floodgate Street just at the back of Ghetto Golf in Digbeth. If you're walking, head towards the Custard Factory from the Bullring and turn left after South & City College Birmingham. The closest train station is Birmingham Moor Street, it is just over the road from the city's coach station and the closest car park is Bradford Street Car Park. You will find the Typhoo Factory in Digbeth. The closest train station is Birmingham Moor Street. Turn right outside of the station and follow the road down to Fazeley Street, then down to New Canal Street and you will then come out into Bordesley Street where you will see the Typhoo Factory. The closest car park is Coventry Street Car Park. Sat right next to our iconic BT Tower is Lionel Street where a super exciting scene was filmed. The closest train station is Birmingham Snow Hill and the closest car park is Ludgate Car Park. Whilst you're in the area, take a stroll round to The Coffin Works where you'll be able to learn more about the city's history. Just round the corner is Ludgate Hill. The closest train station is Birmingham Snow Hill and the closest car park is Ludgate Car Park. Take a walk down into a gorgeous area of the city around see St Paul's Church. Hungry? Check out one of my favourite restaurants in the area; Cucina Rustica. And just a road down is Livery Street, which is below the Snow Hill train tracks and you will see one of the city's most loved pieces of art 'A MATTER OF OPINION', which can be seen clearly in Ready Player One. It is very close to Birmingham Snow Hill, and the closest car park is the one within the train station. Whilst you're in the area, it is well worth heading into the Indian Brewery. If you love it or hate it, you can't deny that Spaghetti Junction is unlike anything else in the UK. Which is probably why Steven Spielberg wanted to use it in the film! It may only be a snippet, but you can definitely see Spaghetti Junction in the movie. Ready Player One comes to cinemas across the UK on March 29th, 2018.